The origin of Sant Antoni de Portmany, a town located on the west part of Ibiza, dates from the year 1305, when its inhabitants asked the archbishop to build a new church, as the one in Ibiza town was too far away for them. This new church was dedicated to Saint Anthony, and that is the reason why the town receives its name. This town is only 20 minutes away from the capital city of the island, and it offers a lot of options for every kind of tourists, from entertainment to nice accommodation offers. Sant Antoni remains a good place to go if you are looking for a party holiday in Ibiza during the Summer months. With its large number of terraces and live music on the street, Sant Antoni has a lot of options for young people who is looking for party until dawn. The people who frequently visit Sant Antoni are people of all nationalities coming to Ibiza looking for party. Among the large number of pubs and discos Sant Antoni has to offer, we can mention all the bars located in the sunset strip, from where you can appreciate the most incredible sunsets. One of the most famous bars in this area is the Café del Mar bar but Café Mambo is also an important bar where massive parties are organized. To Sant Antoni come djs from all over the world prepared to party with the most incredible electronic music. 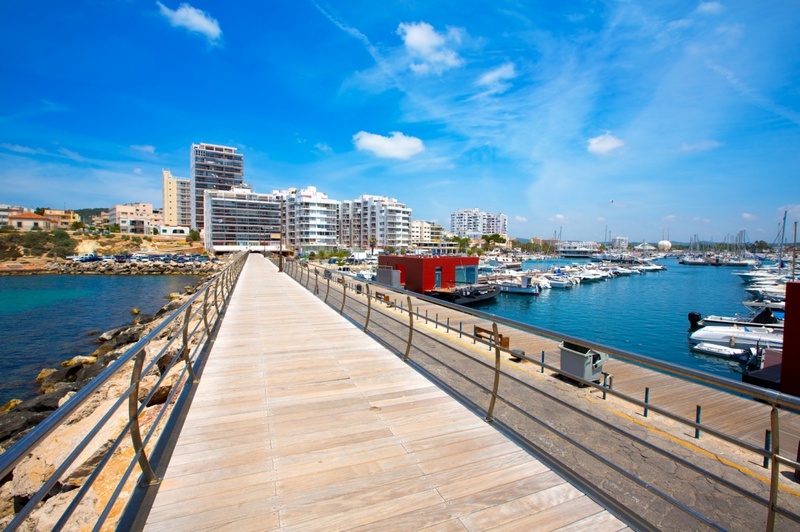 Morevoer, Sant Antoni is really close to the most famous party spots in the island. There are also two main discos in this area, Es Paradís and Edén. Es paradís is famous for its 'Water Parties', organized twice a week. Do not hesitate to go there if you are looking for something new, because you will dance like if you were in the sea. However, if you are looking for a more relaxed holiday, then you have to visit this town during the months of beginning and end of season (May, June, September and October). During this period, you can be delighted by the nice ambiance of the port while having nice walks through the coast. It was the first city interested in Tourism during the sixties, and its port is very important, having connections with the main land of Spain. For that reason it has a wide variety of hotels and apartments. Find information about selected Hotels, apartments and rooms in Sant Antoni de Portmany to choose the perfect place for your accommodation.